Biometric screening deadline is June 30, 2018! The deadline to submit your biometric screening results is less than one month away. Screening forms must be self-submitted to Go365 by June 30, 2018, in order to guarantee points towards Earned Status of Silver, which qualifies employees for the 2019 Wellness Consumer Driven Health Plan (CDHP). CLICK HERE for more information, to see the full schedule, and to register for a free biometric screening in your area! The Wellness CDHP offers the lowest premiums compared to the other options. If you are currently enrolled in state medical benefits, you can qualify for the 2019 Wellness CDHP by reaching an Earned Status of Silver in Go365 by August 31, 2018. 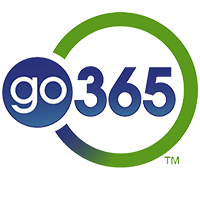 This means all points must be processed and posted to your Go365 account by the August 31 deadline. Don’t wait until the last minute to submit information since processing of activities can take up to 45 days to be reflected in your account. Biometric screenings earn you at least 2,000 points just for participating, and up to 4,000 total points toward an Earned Status of Silver to qualify for the 2019 Wellness CDHP. I recently earned my points for biometric screening and went in to get my rewards, but it would not let me update my address and my product is being shipped to my old address. Who can help with this issue so my address can be updated? I want my fitbit to go to my current address. Thank you!